James Blundell c. 1820. Engraving by John Cochran. 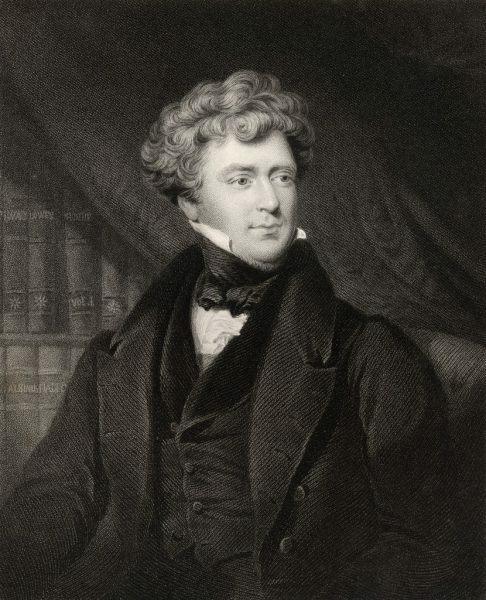 On December 27, 1790, English obstetrician James Blundell was born. Blundell researched in the technique of blood transfusion, and was the first in Great Britain to perform the procedure using human blood (rather than animal blood) on 26 Sep 1818 at Guy‘s Hospital, London, where he used an apparatus of his his own design to collect and transfer the blood. James Blundell was born in London, UK, to Major Blundell, who owned a company called Major Blundell and Co. Haberdashers, and Drapers in London, and his mother Sarah Ann Haighton. James Blundell began his education under Rev. Thomas Thomason, and his uncle, the physiologist John Haighton. He developed an interest in the medical field, and studied at Guy’s Hospital in London, where Blundell studied anatomy and surgery under Sir Astley Cooper, known for his achievements in vascular surgery. Like his uncle, who had developed several instruments still used today for the delivery of babies, he specialised in the field of obstetrics. 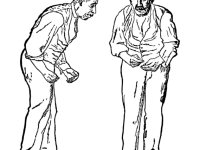 Later he graduated from the University of Edinburgh Medical School with his MD in 1813 with a thesis that proved the senses for music and hearing were dependent yet distinct. After graduation, Blundell returned to London where he focused solely on midwifery and physiology. By 1818, he succeeded his uncle and became the lecturer on both subjects at Guy’s Hospital, where his classes on obstetricy and the diseases of women were reported to be the largest in London. He became the sole lecturer on the two topics after his uncle’s death in 1823. Blundell was named a licentiate of the Royal College of Physicians in 1818 and a fellow in 1838. In 1818, Blundell proposed that a blood transfusion would be appropriate to treat severe postpartum hemorrhage. He had seen many of his patients dying in childbirth, and determined to develop a remedy. However, he was also familiar with the work of Leacock in Edinburgh, who said that the transfer of blood from one species would be harmful to another. Therefore, Blundell conducted a series of experiments using animals, and observed that as long as the blood was transfused quickly, a transfusion would be successful with a syringe even after it had been collected in a container. He also discovered the importance of letting all the air out of a syringe prior to the transfusion. Beginning with William Harvey‘s experiments on the circulation of blood, research into blood transfusion began in the 17th century, with successful experiments in transfusion between animals. Pope Innocent VIII is sometimes said to have been given “the world’s first blood transfusion” by his Jewish physician Giacomo di San Genesio, who had him drink (by mouth) the blood of three 10-year-old boys. The boys subsequently died. The evidence for this story, however, is unreliable and may have been motivated by anti-semitism. However, successive attempts by physicians to transfuse animal blood into humans gave variable, often fatal, results. Working at the Royal Society in the 1660s, the physician Richard Lower began examining the effects of changes in blood volume on circulatory function and developed methods for cross-circulatory study in animals, obviating clotting by closed arteriovenous connections. The new instruments he was able to devise enabled him to perform the first reliably documented successful transfusion of blood in front of his distinguished colleagues from the Royal Society. The first blood transfusion from animal to human was administered by Dr. Jean-Baptiste Denys, eminent physician to King Louis XIV of France, on June 15, 1667. He transfused the blood of a sheep into a 15-year-old boy, who survived the transfusion. Denys performed another transfusion into a labourer, who also survived. Both instances were likely due to the small amount of blood that was actually transfused into these people. This allowed them to withstand the allergic reaction. In 1818, Blundell published “Experiments on the Transfusion of Blood by the Syringe” in Medico-Chirurgical Transactions, in which he discussed his experiences with whole blood transfusion. He addressed the benefits of rapid execution to prevent coagulation, the importance of avoiding air intake in the veins and the incompatibility of heterologous donors. 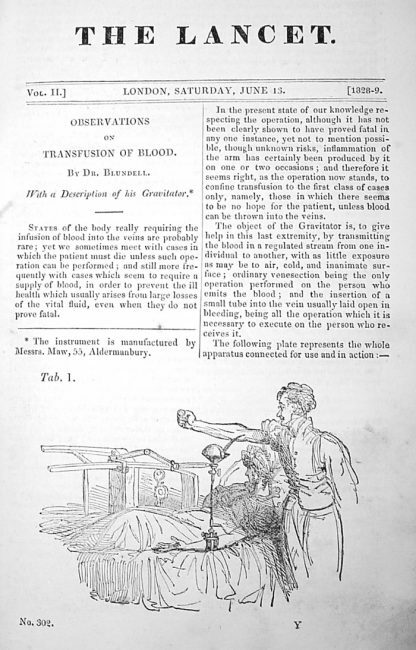 Article on transfusions by Dr. Blundell in The Lancet, from 1829. Although there is some conflict between whether his first successful transfusion occurred in 1818 or 1829, it seems more likely that in 1829 he performed the first successful human to human transfusion. Regardless of the date, it is agreed upon that Blundell extracted four ounces of blood from the arm of the patient’s husband using a syringe, and successfully transfused it into the patient. Over the course of five years, he conducted ten documented blood transfusions, five of which were beneficial to the patients, and published these results. Blundell introduced two instruments for the purpose of transfusion: the impellor and the gravitator. The impeller was a complex invention consisting of a cup, tube and syringe. When using the gravitator, blood was injected into the patient via a tube suspended from a vessel held high above the patient. Information on both apparatuses was published in The Lancet in 1829. Blood compatibility tests were only introduced by Reuben Ottenberg in the 20th century (1907) after Karl Landsteiner discovered the AB0 system in 1901. Blundell limited the use of his transfusion apparatus to women on the verge of death due to uterine haemorrhage, the heavy bleeding that can result from a difficult labour. Blundell believed blood had a nutritive property and was infused with vitalism – a living force. Aside from his invaluable work with blood transfusions, Blundell’s discoveries left quite an impression on the field of surgery. By studying the peritoneum of animals, he uncovered the possibility of abdominal surgery, which profoundly advanced the fields of obstetrics and gynecology. Later publications of Blundell include Principles and Practice of Obstetricy in 1834 and Observations on some of the More Important Diseases of Women in 1837. In using the uterine sound for diagnostic purposes, he was considered more advanced than other obstetricians of the day. Blundell retired from practice in 1847. He died on 15 January 1879 in London.